Kishok, 22, is one of many F&B staff working in Holland Village. But what sets him apart from the rest is that he doesn’t have to wait on customers. His job title is Service Ambassador, which is basically to host customers and make them feel at home at The Nook, the bistro he works for. He doesn’t have to serve them drinks or take down their orders. Customers do almost everything themselves, from ordering, to self-service, to payment. That leaves Kishok free to mingle around, talk about the latest wines and life in general. But his job wasn’t always this fun. What Was His Old Job Like? When The Nook first opened last year, it started out as a 40-seater bistro in a unit no larger than a jumbo HDB flat. It operated like a typical F&B business. Staff take orders, serve food and wine, and process payment. The worst time of the day (or night actually) was from 11pm to 1am, when order accounts and actual payment sometimes didn’t tally, or if a customer left without paying. Every night was literally a nightmare, with daily sales reconciliation and subsequent banking of cash taking up a lot of time and stress. The space constraint and old business model confined drink offerings to 4 wines and 5 beers. 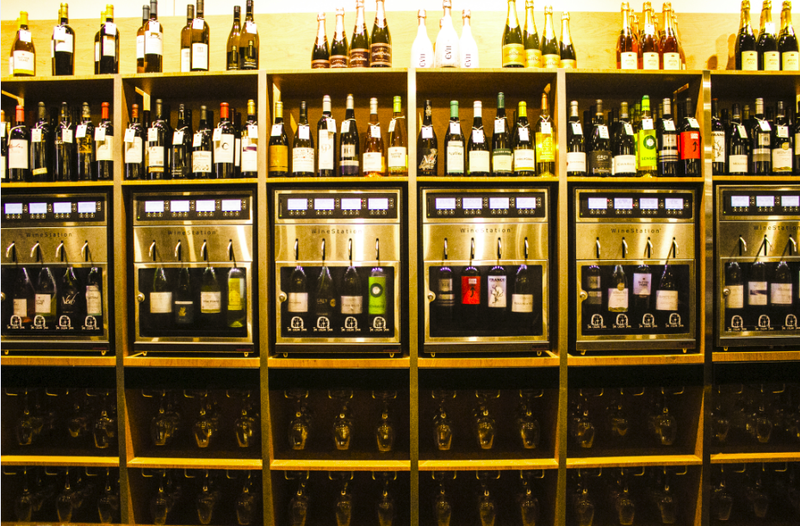 After exploring productivity solutions, The Nook invested in several wine and spirit dispensing machines. The machine can display individual product recommendations and food pairing possibilities. 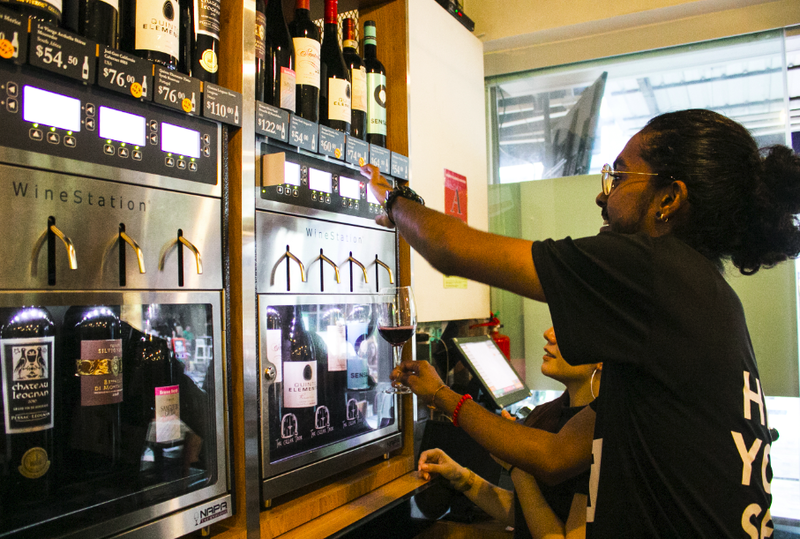 Customers can read the recommendations on any of the wines hooked up to the machine and choose the ones they like. Thereafter, they only need to grab a chilled glass nearby and fill it up with either a tasting portion, half portion or full portion, while paying for it using a stored value card. 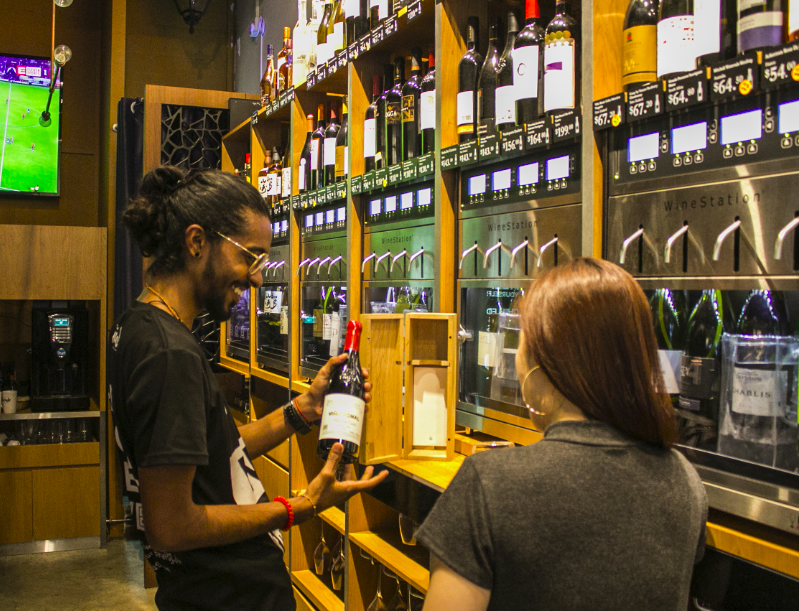 As customers can choose any wine they like without being forced to open an entire bottle, they can drink as many types of wines they want, without having to wait for a harried waiter to serve them. 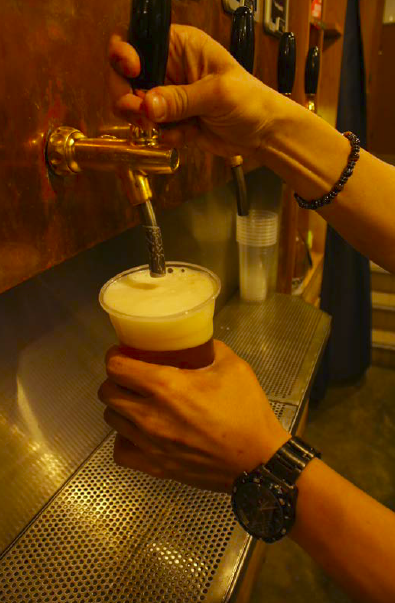 There’s also a beer machine with 8 types of in-house brewed craft beers operating on the same concept, with a “takeaway” option available. 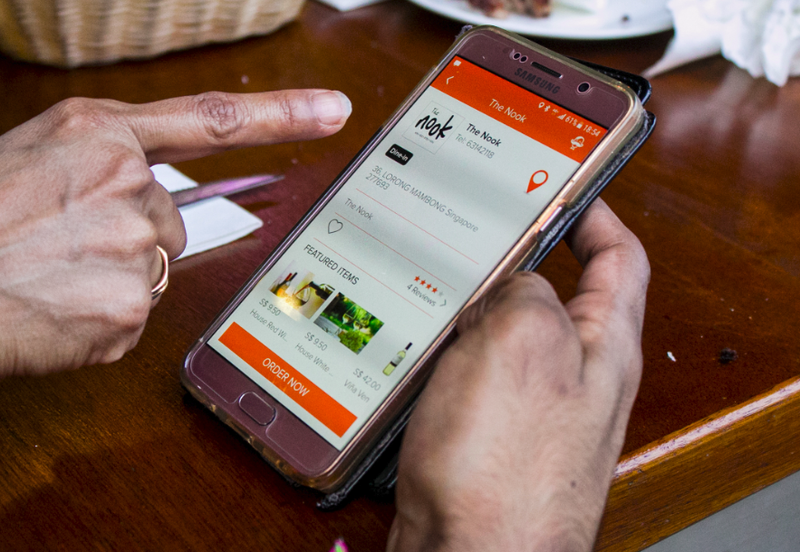 Customers can also order their food at The Nook via the Dining Butler app and pay via cashless, or using cash at the in-store automated cash machine. For customers who prefer to drink alone and be left alone, they can literally walk in, choose their own wine, buy a glass and pay by themselves, without having to speak to a single human. What Difference Did These Investments Make? 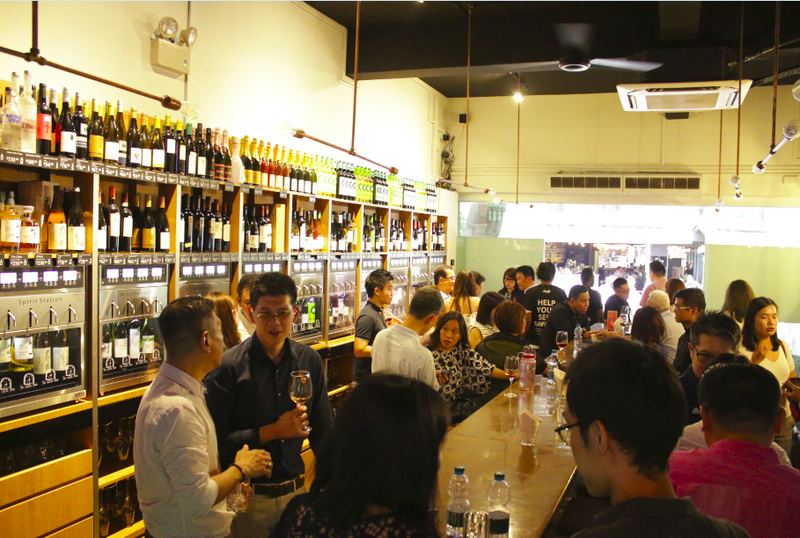 The Nook is now an 80+ seater bistro that serves 8 times the variety of wine/spirits with half the manpower needed. It only needs 2 full time staff to operate during non-peak hours, and 4-5 full time staff during peak hours. The machines are linked to a central system where The Nook can monitor daily sales of each type of wine, spirit, alcohol and food item, so the management can replace less popular variants with new products to meet customer demand. 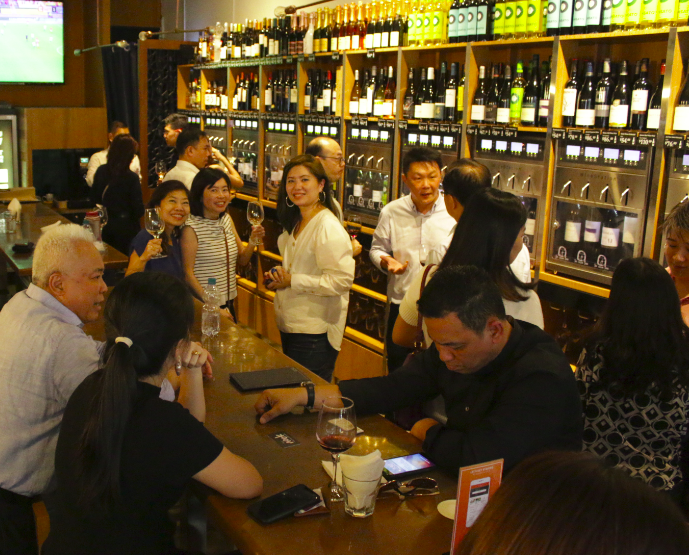 Kishok now spends much of his time bonding with customers, understanding their preferences and introducing them to new products and wine and beer food pairing options. He and other staff have more time for training and possible redeployment to other F&B businesses within the group, which means more exposure and job experience for them to further their career.